I want to show a few of the seaxes I've made and sold over the last few years that you have likely not seen. 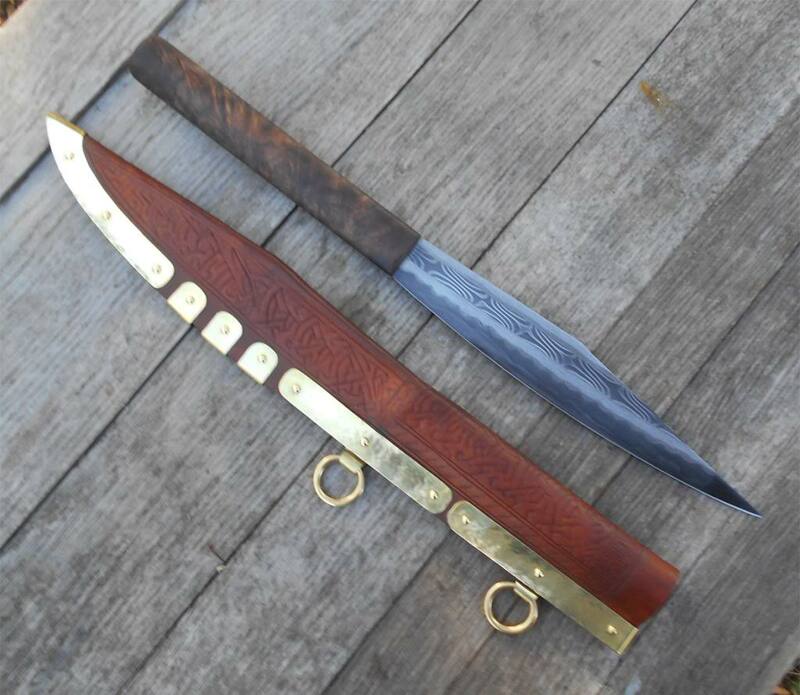 This is a 3 bar composite blade with a walnut handle. 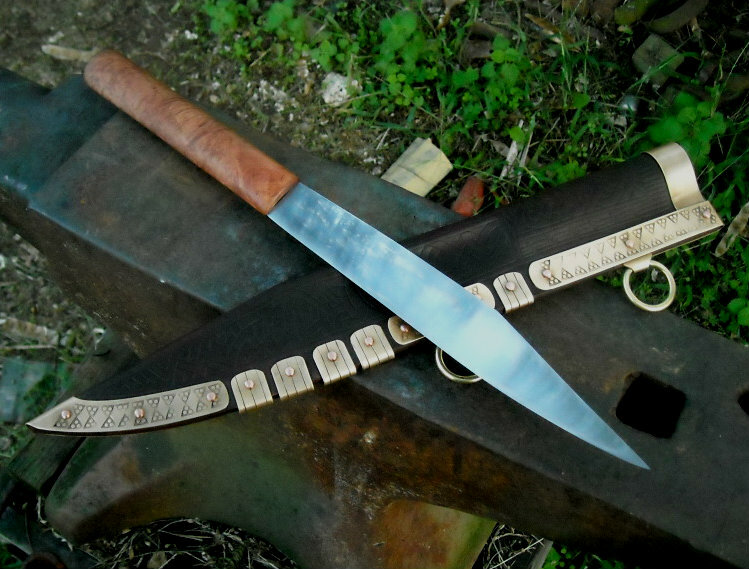 This one has a blade forged from shear steel and a curly maple handle. This is a 4 bar composite with curly maple. 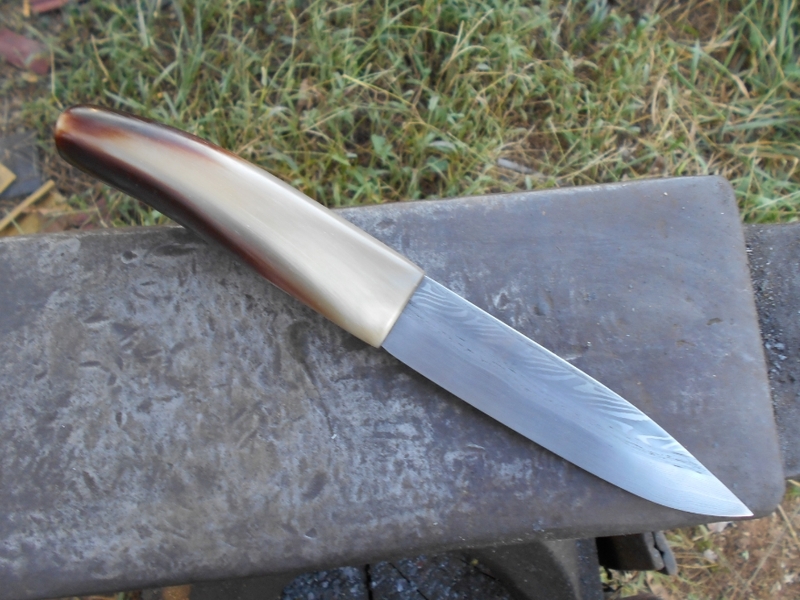 This is a monosteel blade of W2 with a briar handle. 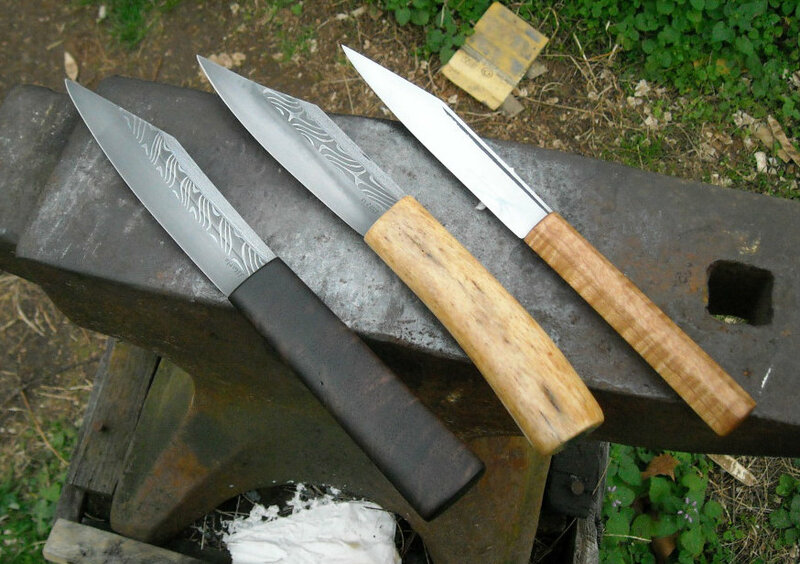 Left to right: 3 bar composite with walnut, 3 bar composite with stellar seacow bone, and monosteel with maple. 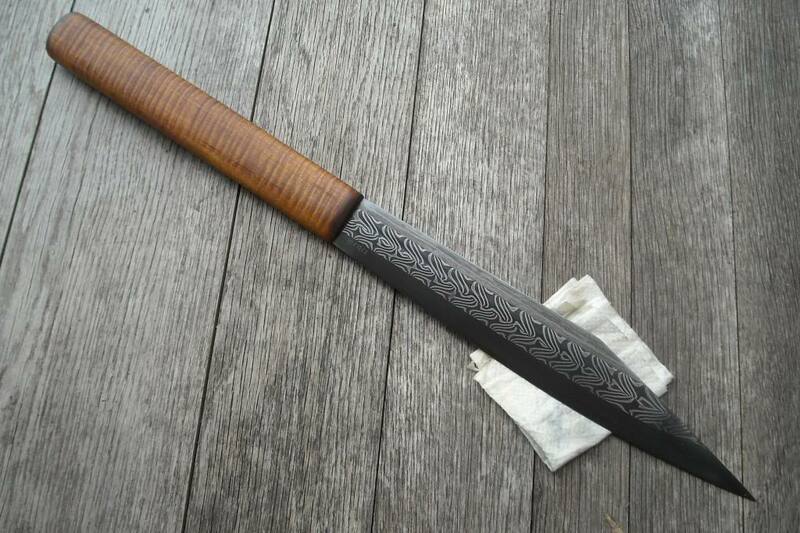 A 4 bar composite blade of wrought iron, 11 layer twist, wrought iron, and 300 layer edge (1084 and 15n20). This one has a 'bright' finish, which is hard to photograph but is beautiful in hand. The handle is blonde bovine horn. This is a more continental pattern sax, as opposed to the Wheeler type IV I usually make. 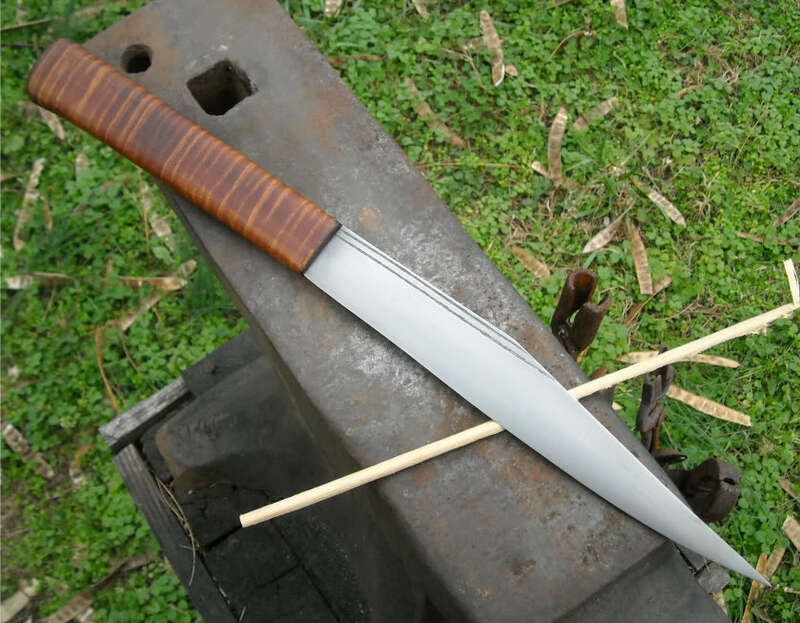 Last but not least, this is a 4 bar composite with wolftooth pattern, and a walnut handle. 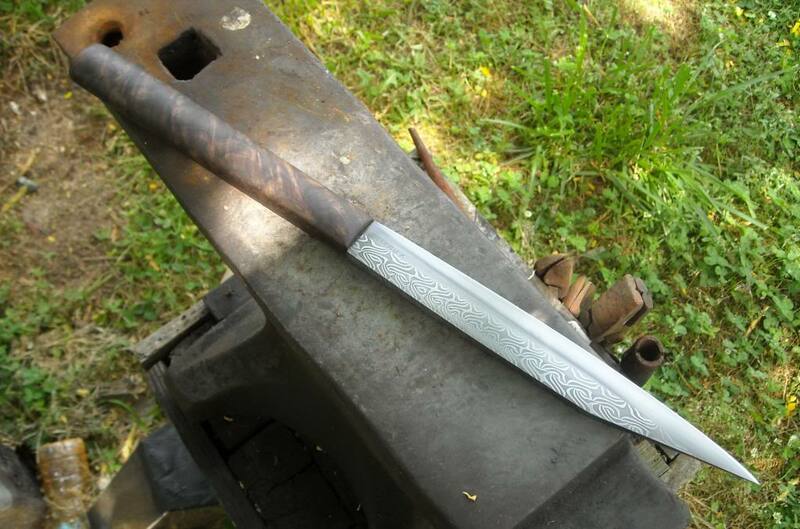 The blade and sheath are based off of Irish artifacts. That last one is especially excellent! Quite a piece of walnut. That last one looks like mine! Great work as always.